Sea Breeze Park at Sleepy Cove. 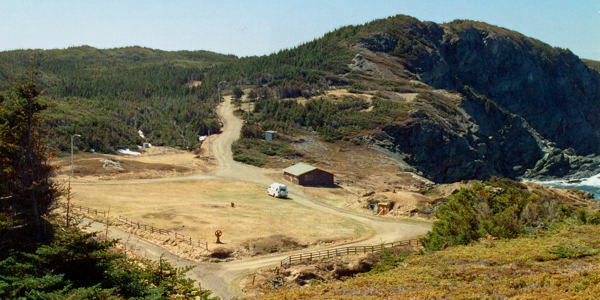 Our most beloved spot (for camping) on Newfoundland is Sea Breeze Park at Sleepy Cove. Each time we spent our holidays on Newfoundland, we visited this nicely situated location near Crow Head (Twillingate). More than once we have been camping here in our tent or motor home. We spent here hours and hours, watching the gannets diving for fish, and seeing icebergs, whales, and orcas passing by. And... we have seen the most beautiful sunsets at Sleepy Cove. It's a historic spot, for a century ago a copper mine was located here. 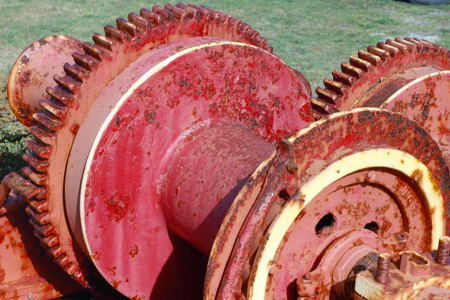 Scattered all over the place, the crimson and yellow painted remnants of the machinery are the silent witnesses of this short-lived industrial activity. 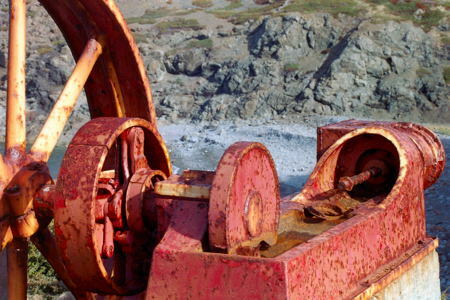 In 1905, Obediah Hodder of Pennsylvania revisited his birthplace at Crow Head on Twillingate Island and, while exploring his old haunts, happened upon a copper prospect that he had found as a child. That was the newspaper version of the discovery on the Crow Head or Sleepy Cove mine. Another story described how Hodder's father spotted the ore while searching for net ballast. The facts are the Obediah's father, James, and brother, Edgar, staked the Sleepy Cove orebody with other men in the early 1900s and sold it to Obediah around 1906 for $5000 and a 20-cents-per-ton royalty. He then incorporated the Great Northern Copper Company Limited and transferred the claim to the firm. Like many of his contemporaries, Obediah Hodder clung to the belief that a sophisticated surface outlay could compensate for an indifferent mineral deposit. Disregarding the Sleepy Cove orebody's limited size and copper content, he spent $225,000 on importing the latest mine equipment from the United States. Older Twillingate residents can recall its arrival by steamship in the fall of 1908; Crow Head men still relate the problems in hauling it piece by piece over the snow from Twillingate to the mine site using horses and sleds. To obtain an idea of how the Sleepy Cove mine appeared in its prime, one can look in the Crow Head Town Hall at Melvin Sharpe's colourful mural of the old site. 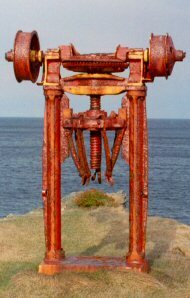 One wood-burning steam engine hoisted the ore up the shaft. Another ran the cable cars along the tramway between the shaft and the crusher. A turntable centrifuged the ore from the barren rock, and yet another steam-powered tramway carried the ore to the wharf. 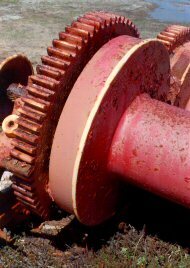 For all its impressiveness, the machinery had little chance to perform. Of the three ships that came to remove ore, one carried 560 tons to an unknown destination in 1910; another abandoned loading operations after high winds drove it onto rocks; and a third took ore to New York where it sat unclaimed for months before the American Smelting and Refining Company bought it in 1915 or 1916. 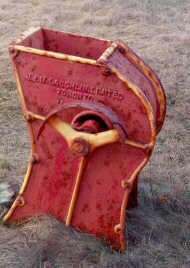 Obediah Hodder stopped mining around 1917 to start up a cooperage in Twillingate, but later returned to Pennsylvania. 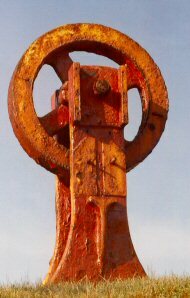 His abandoned mining and cooperage machinery lay rusting until the Crow Head Town Council gathered it together and transformed it with crimson and yellow paint into playground equipment for children of the village.